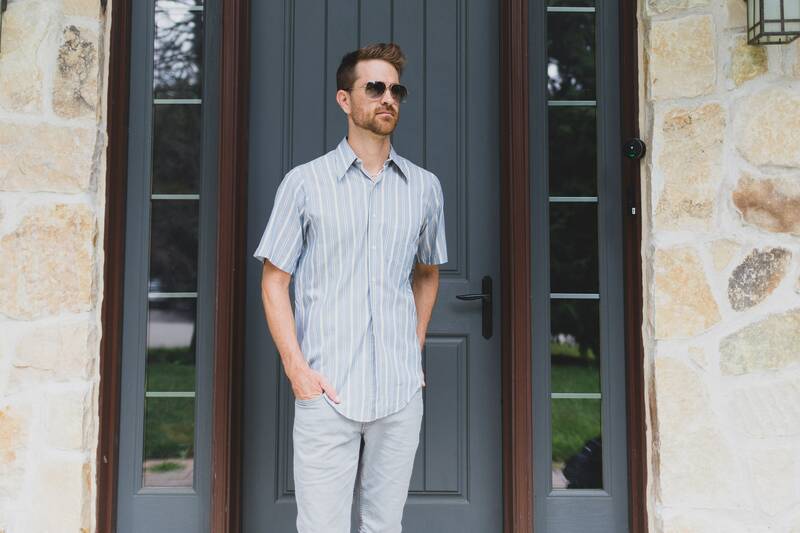 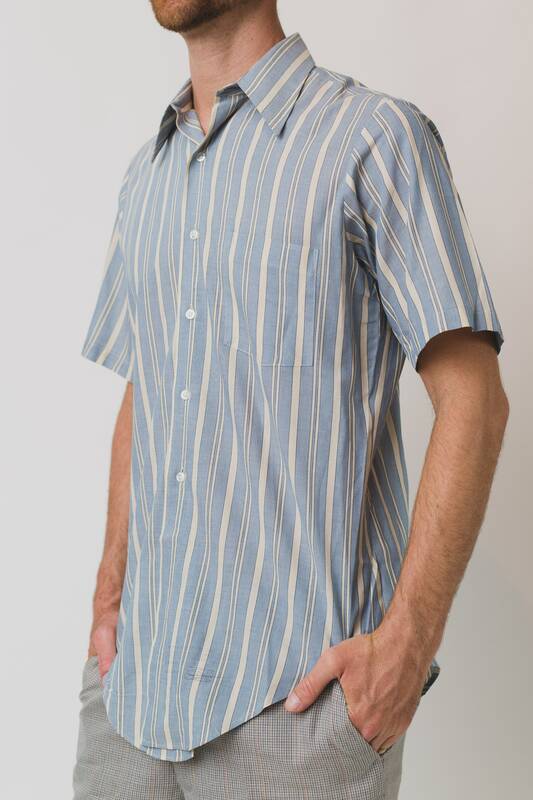 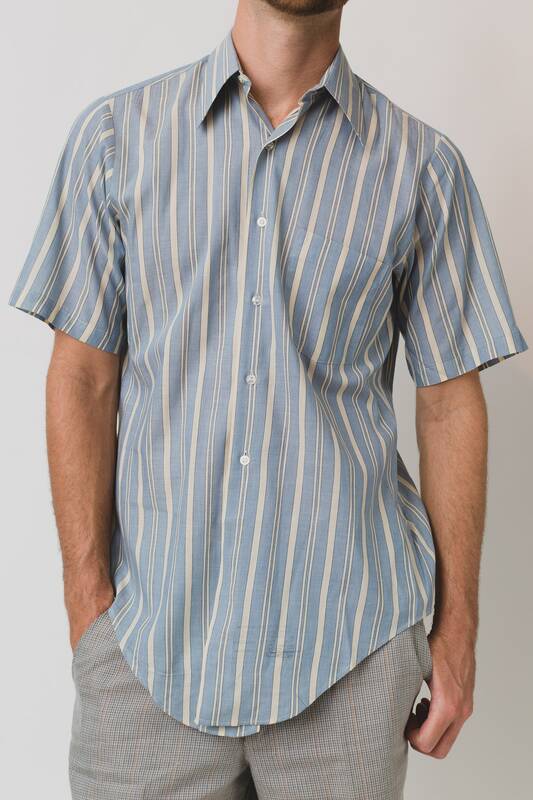 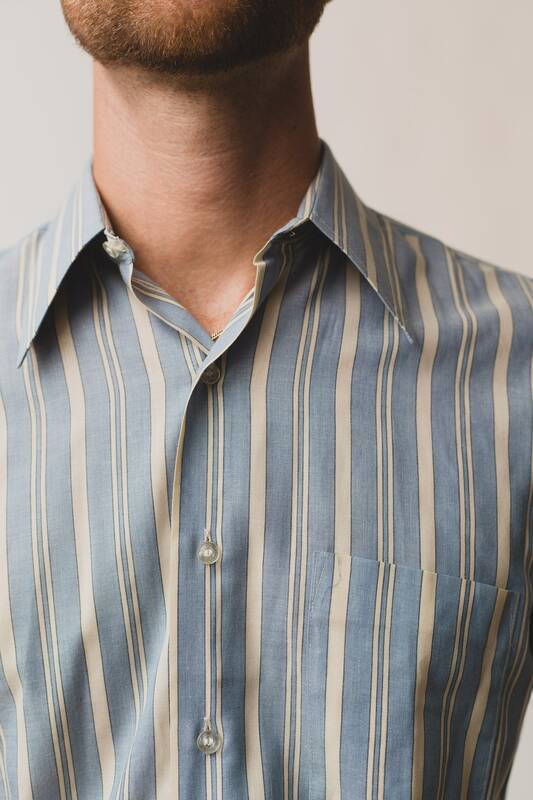 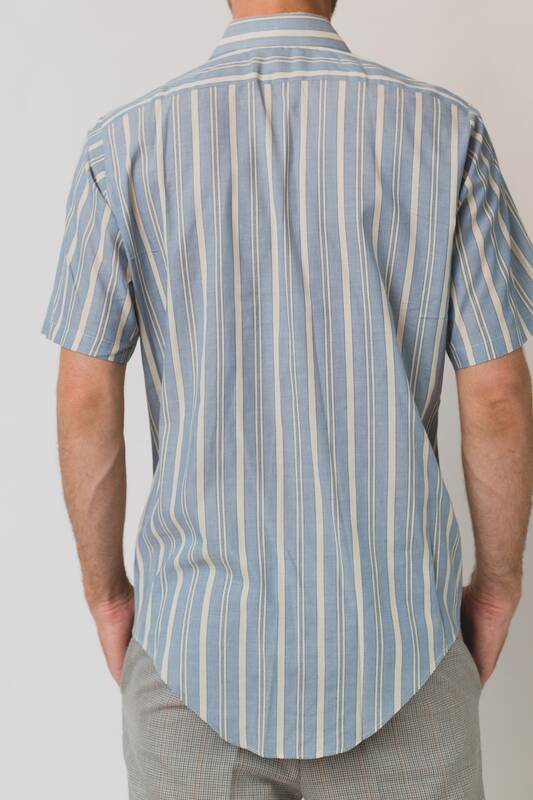 This is an excellent vintage 1960's men's Arrow Surrey Collection Madison Ave half sleeve striped workers shirt. 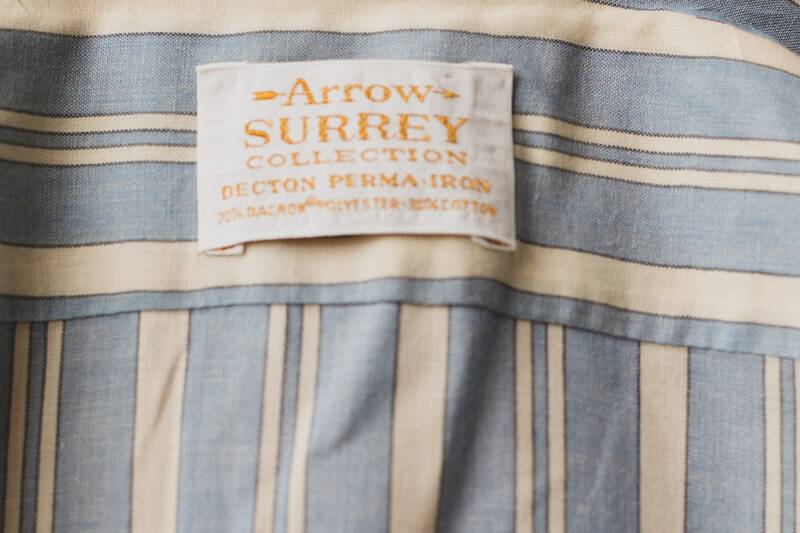 Made with Dacron polyester as noted on tag. 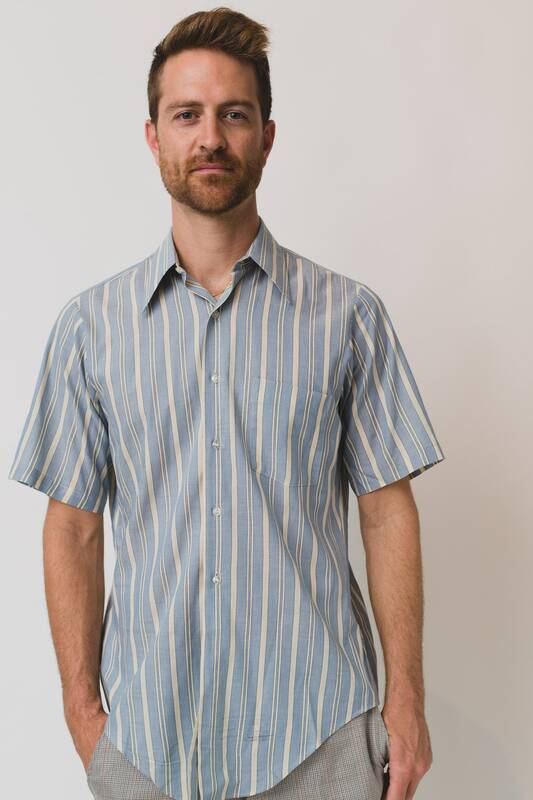 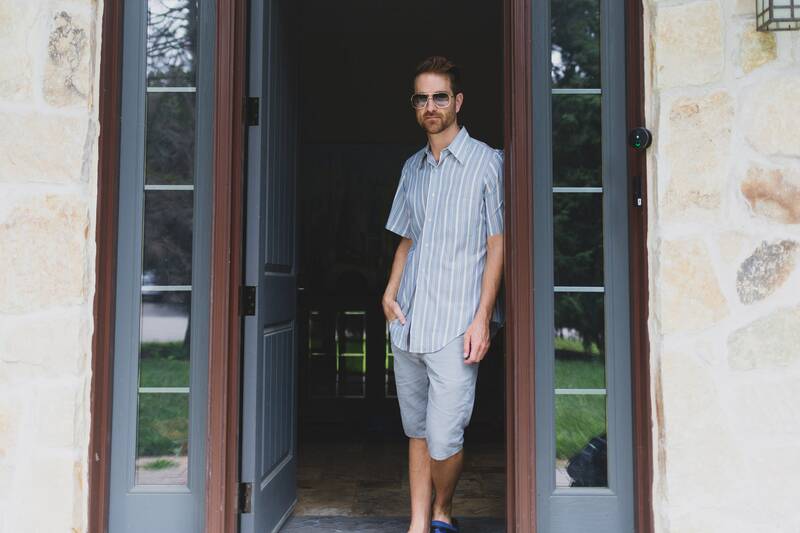 Sleeve length (top shoulder seam to hem): 10.5"
70% Dacron polyester and 30% cotton.